Home → TMS Therapy → What is TMS? TMS Therapy is treatment cleared by the US Food and Drug Administration (FDA) in 2008 for patients suffering from depression* who have not achieved satisfactory improvement from prior antidepressant treatment. 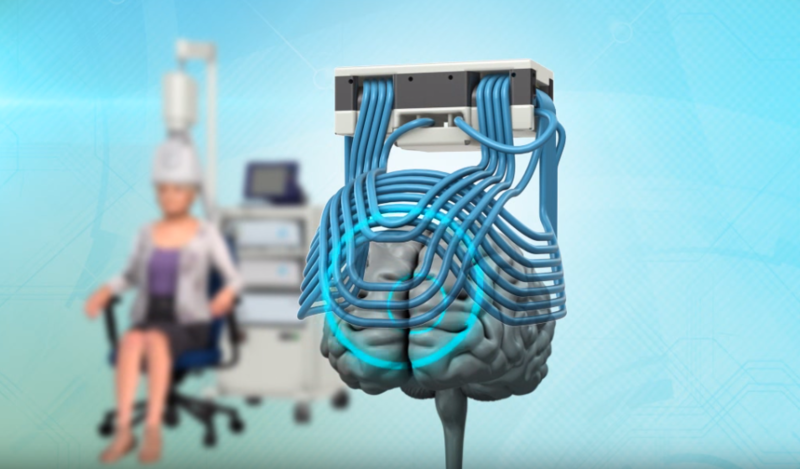 TMS stands for Transcranial Magnetic Stimulation. TMS Therapy is a treatment that is performed in our office, under the supervision of a psychiatrist. Neither anesthesia nor sedation is requies. You will be awake and alert during the treatment session. Non-systemic, meaning that it is not taken by mouth and does not circulate in the body’s bloodstream. The typical initial treatment course consists of five treatments per week over a 4 week period, for an average of 20-30 total treatments. Each treatment session lasts approximately 20-30 minutes.